The WLW Show Wed 11/1/17 – Local Chat, Events,Happenings and a phone in! Unfortunately due to staff illness and change in duties for the day, Our guest for this evening, Boz from Boz’s Fruit and Veg will be unable to join us. We will be rescheduling and he’ll be with us soon. So tonight, we’re talking about what’s going on around the area, including the return of Joke in The Box at The Lightbox, Silk Painting courses by Jane Cameron, an Open Day at The Shah Jehan Mosque in Woking, and lots lots more. Plus in the second hour we have a phone in with Jose Penrose of Mind to Change, about the importance of addressing mental health issues in children and young people, which bas been in the news lately. Then we have Even More local events and happenings – all joined together with some cool tunes. Why would you wanna be anywhere else?? 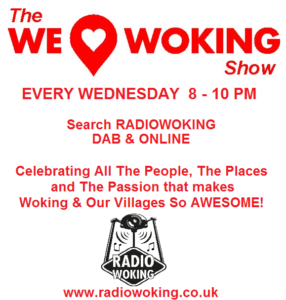 Join us 8-10pm here on Radio Woking. 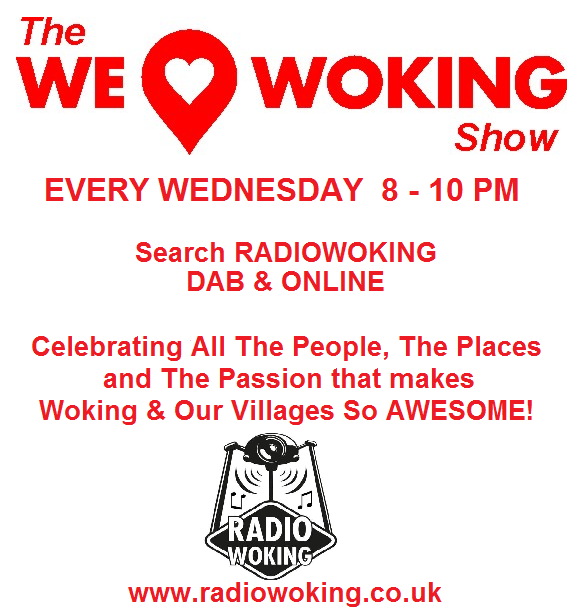 Search Radio Woking on DAB, or for mobiles and tablets, you can download the free TuneIn radio app.